At 53, Ernesto Valverde Tejedor will take on the grandest challenge of his long football career, as he takes over the reigns at the Camp Nou. His credentials for the job have been questioned in some quarters but this is by no means the first time he has arrived in Barcelona with a point to prove. Despite being born in rural Extremadura, just 180 kilometres west of Madrid, the bulk of Valverde’s career has been spent plying his trade in Spain’s two most rebellious regions. There’s a certain symmetry to his life in football, with both his playing and coaching career to date probably best defined by a combined 12 years in Bilbao – six seasons on the pitch and six in the Athletic dug-out. However, in both cases, it’s two-year stints in Barcelona at RCD Espanyol that largely forged his reputation. Valverde first arrived in the city back in 1986 as a little known forward, who at 22 had yet to kick a ball in anger in the Spanish top flight. However, he quickly established himself as a key figure in an Espanyol team that would end the season in third place, still their joint best-ever finish in La Liga. The following year, he again played an integral role as Espanyol saw off Borussia Mönchengladbach and both Milan giants to defy the odds and reach the UEFA Cup final. Although his time at the club would end on a sour note as Espanyol threw away a 3-0 first-leg lead to ultimately lose their first ever European final on penalties to Bayer Leverkusen, on a personal level Valverde had announced his arrival on the Spanish football radar. A somewhat controversial cross-city move to Johan Cruyff’s Barcelona followed that summer and although it would prove a largely unsuccessful spell on the pitch, plagued by injury problems, he made a significant impression on the Dutchman, who already began touting him as a future coach. Cruyff’s legendary reputation and lingering influence long after his official departure ensured Barcelona would keep a close eye on the development of Valverde’s coaching career, which commenced many years later. Twenty years on from his first venture in Catalonia, in the summer of 2006, Valverde once again arrived at Espanyol with a fervent desire to launch a career. The circumstances were a little different, given he was already a well-known name and had spent two seasons coaching in La Liga at Athletic Club. However, a troubled second year, in which he had fallen out with the club’s president, culminated in a disappointing mid-table finish. Valverde departed San Mamés of his own volition but without the sort of success he’d have hoped for and certainly with plenty to prove as a coach. While he still retained admirers in high places, Valverde took a year out following his Athletic exit and effectively had to settle for a lesser job in the shape of a return to Espanyol when his brief hiatus from football finished. However once again it was his first season at Barcelona’s perennially overshadowed second club that really made people stand up and take notice of his qualities. Valverde inherited an Espanyol side that had just won the Copa del Rey, which could easily have been as much a curse as a blessing. It was only the fourth major trophy in the club’s history but it was by no means a great side that won it. Their route to the trophy had seen them avoid all the giants of Spanish football and despite their cup success, they were involved in a real relegation scrap in La Liga which went right to the final minutes of the season. Ultimately Espanyol would pull off one of the most dramatic survival acts in Spanish top flight history, as an 89th-minute goal from young forward Coro gave them a 1-0 final day win against Real Sociedad to ensure they would beat the drop. Their cup-winning coach, Miguel Ángel Lotina, would join the Basque club for the commencement of the following campaign leaving a vacancy which, with some persuasion, Valverde filled. The previous season’s long flirtation with danger hardly boded well for a rare Espanyol venture in Europe, secured by virtue of their cup triumph, but there were a few reasons for Valverde to be optimistic. The main positive was the number of promising young players in the club’s ranks at the time, and many of them had already become key figures. Valverde could call upon the services of the 22-year-old Carlos Kameni in goal and his back-line was spearheaded by promising centre-back Daniel Jarque, just 23 at the time. Pablo Zabaleta was younger than both and another emerging talent. Further up the pitch, the likes of Luis García and Albert Riera were approaching their peak years while Raúl Tamudo was a reliable source of goals up top with the maverick that was Walter Pandiani providing an alternative option. Overall it was a side of some potential that appeared to have an eye for the big occasion but one that more often than not flattered to deceive. 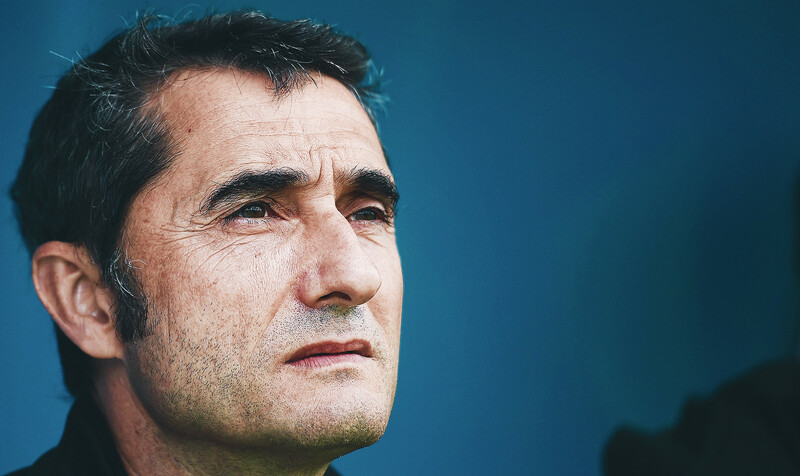 The early weeks and months of Valverde’s reign very rarely showcased more than a glimmer of the success that was to come. The season began with a real baptism of fire as far as the new man was concerned; a Super Cup tie with city rivals Barcelona, the defending Spanish and European champions. However there’d be no fairytale start for Valverde against the club he’d represented for two years as a player. Espanyol were outclassed over two legs and sank to a 4-0 aggregate defeat against Frank Rijkaard’s men. The honeymoon phase for the 42-year-old Valverde was over before it had even begun, and the league campaign didn’t get off to a good start either. It kicked off with another all-Catalan affair and a shock 1-0 home defeat against newly promoted Gimnàstic. A 3-0 loss at Zaragoza followed, meaning Valverde had lost his first four games in charge without seeing his new troops even find the net. Things improved marginally after that but Espanyol would win just one of their opening 10 league fixtures to leave fans gearing up for what was shaping up to be another relegation battle. To make matters worse, their Copa del Rey defence ended at the first hurdle against third tier Rayo Vallecano, and even their UEFA Cup campaign was briefly threatening to go the same way against Petržalka Akadémia. The Slovakian side held 2-1 and 3-2 aggregate leads, only for a second-leg brace from Pandiani either side of a Luis García goal enough to ultimately see Espanyol into the group phase. It wasn’t until late November that Valverde’s under-pressure Espanyol really started to deliver the goods. Largely unsure of his best 11, the new coach was increasingly putting his faith in young talent and the turning point can be pretty clearly traced back to a league game against Valverde’s former employers Athletic, who were enduring their own struggles at the time. With the score at 2-2 heading into the final five minutes and Espanyol on course for a seventh straight league draw, Valverde rolled the dice in search of a much-needed victory. 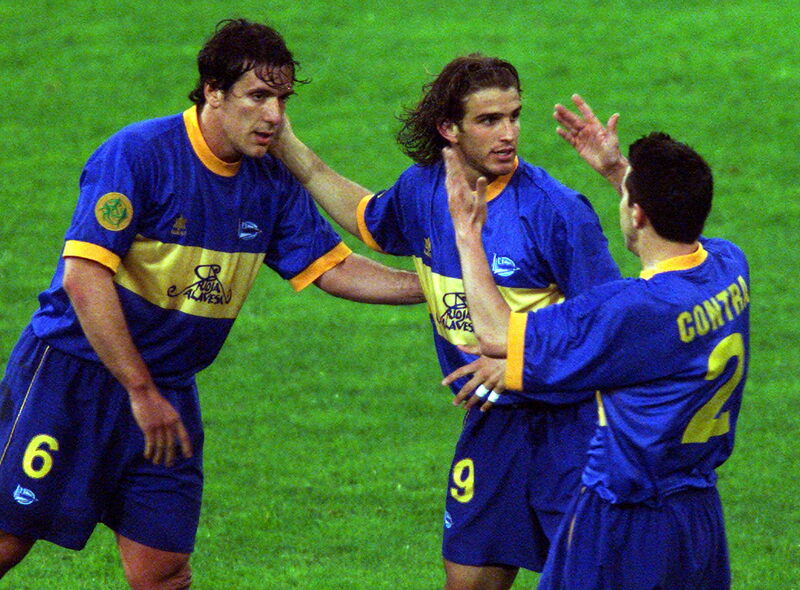 Luis García was hauled off and Pandiani, rarely more than a substitute in league games, was thrown on in the hope that he’d pull something out of the hat. The omens weren’t good when the unpredictable Uruguayan was booked just two minutes after his arrival on the pitch but in the fifth minute of stoppage time, he fired in a dramatic winner that would help kick-start Espanyol’s season and reignite Valverde’s faltering coaching career. Four days later and Valverde opted to gamble again by fielding a three-man front line for Espanyol’s UEFA Cup match against group leaders Zulte Waregem. The Belgians had netted seven times in their opening two matches but up against Pandiani, Luis García and Coro, they were put to the sword. The trio netted all of Espanyol’s goals in a thumping 6-2 win with four coming in the opening half-hour as Valverde’s bold team selection paid immediate dividends. Suddenly Espanyol were a side playing with real belief, and they put in an even more complete performance the following week to secure progress into the knockout phase of the UEFA Cup. Up against a talented young Ajax side that included the likes of Wesley Sneijder, Klaas-Jan Huntelaar, Thomas Vermaelen and Jan Vertonghen, Espanyol put in a highly professional display to leave Amsterdam with a 2-0 win; it was becoming clear that Valverde’s men were more than warming to the challenge of their European adventure. Success on the continent helped breed success closer to home as Espanyol won seven of their final nine matches of 2006 in all competitions to head into the winter break on a real high. Consistency eluded them in the early weeks of 2007 as a bizarre series of results saw them lose at home to Recreativo and concede four first half goals in a 4-0 defeat at Gimnàstic, who would end the season rock bottom despite doing the double over their Catalan rivals. In between those results, however, Espanyol pulled off a famous 3-1 win over Barcelona, one of just three league victories they’ve managed over their more illustrious neighbours this century. Just when Valverde seemed to have put Espanyol’s Jekyll and Hyde reputation to bed, things looked to be taking a worrying turn back to the previous year when for every good performance, there were three bad ones. Their New Year wobbles wouldn’t last long, though, and clearer signs that Valverde’s predominantly young side was evolving and maturing came with five straight wins in all competitions in February. Once again, the return of European football brought fresh impetus and Espanyol bossed their round-of-32 clash with Italian side Livorno throughout, emerging with a comfortable 4-1 aggregate win. By the onset of spring, Espanyol’s top-tier status was looking virtually secure but their early season struggles had ensured they would never really be in a position for anything more than a mid-table finish in La Liga. That enabled Valverde to increasingly focus his attention on the UEFA Cup as he bid to lay the ghost of that 1988 final defeat firmly to bed. The odds were still stacked against Espanyol going all the way, though, and despite their obvious improvement and seven straight wins in the competition, they weren’t really being touted as serious contenders. The last-16 draw included plenty of bigger names than themselves and their pairing with another of the outsiders in the shape of Israeli side Maccabi Haifa enabled them to slip under the radar for a while longer. While Pandiani, who had become Valverde’s go-to man in the competition, was grabbing the headlines, it was Espanyol’s defensive displays that were providing much of the foundation for their success on the continent. Valverde had shown his willingness to put faith in youth by handing 20-year-old centre-back Marc Torrejón and 21-year-old full-back Javi Chica their senior debuts earlier in the campaign. By the second half of the season, the duo had cemented themselves in the side, with Torrejón striking up a strong central defensive partnership with Jarque, only a few years his senior and another Barcelona-born product of an excellent Espanyol youth system that was churning out talent at the time. The duo helped Espanyol to a 0-0 draw in Israel in the potentially tricky first leg of their last-16 clash with Maccabi and the tie remained scoreless heading into the second half of the second leg back at the Estadi Olímpic Lluís Companys. An Espanyol back four that on the night consisted entirely of academy products was holding firm but it wasn’t until the 53rd minute that the tie finally exploded into life. Midfielder Iván de la Peña – another mainstay of the side, if hardly a prolific goalscorer – produced a moment of pure inspiration by firing a 30-yard piledriver into the top right-hand corner to give Espanyol the lead. Just six minutes later, de la Peña collected the ball in almost exactly the same position, only this time instead of going for goal, he sliced the perfect pass through to Tamudo who applied a simple finish to give the hosts some breathing space. Luis García added a third moments later and Espanyol ultimately cruised to a 4-0 win on the night and a place in the last eight. It was clear that Valverde had instilled a discipline in the side that had perhaps been lacking in the previous campaign, but he was still willing to give his players the freedom to play their natural game. 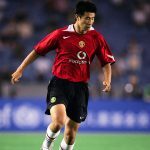 There were match-winners in his ranks, and while they didn’t all deliver on a regular basis, there always seemed to be someone who’d produce a timely moment of magic in knock-out football. That helped explain why Espanyol had developed into a good cup side and dangerous one-off opponents for just about anyone. A quarter-final tie against Portuguese giants Benfica provided the biggest test of their UEFA Cup run to date. Their opponents had dropped out of the Champions League and were eyeing up a deep run in the competition having seen off Paris Saint-Germain in the previous round. Benfica were much the more experienced team, certainly on the European stage, with a host of Portuguese internationals including Nuno Gomes, Simão and the veteran Rui Costa in their ranks. 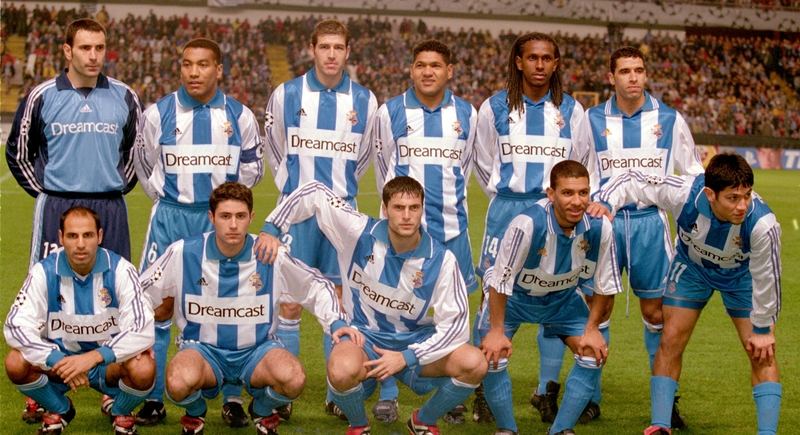 The tie would perhaps best sum up all that was good and bad about the Espanyol side of the era. It commenced in a wet Barcelona with the hosts on the very top of their game, playing the sort of high-tempo football that could trouble even the strongest teams in Spain and beyond. A virtuoso display from wide man Albert Riera was the inspiration this time as Espanyol raced into a 3-0 lead inside an hour with both skipper Tamudo and Pandiani, an early second half substitute, on the scoresheet. Benfica were rattled and already there seemed to be no way back, but this was also an Espanyol team that hadn’t completely shaken off their ability to self-destruct. In the space of just a couple of second-half minutes, both Nuno Gomes and Simão fired home to give Benfica two priceless away goals and totally change the complexion of the tie. Italian forward Fabrizio Miccoli then spurned a golden opportunity to level things up at 3-3, but in spite of his miss, the Portuguese giants were once again favourites to progress heading into the second leg in Lisbon. This time we would see another side to Espanyol. Largely speaking, Valverde had made them a positive, attack-minded team, even if their eagerness to get the ball out wide and fire crosses into the box didn’t always win them plaudits at home. However, his willingness and ability to skillfully adapt to the situation was no better demonstrated than in the return clash. Espanyol rode their luck on occasions but a gritty, battling display, particularly in a midfield which refused to let Benfica’s creative players settle on the ball, stifled much of the host’s attacking play. In the second half they really had their backs to the wall at times as Benfica were frustrated by a combination of some stubborn defending, some sublime saves from Gorka Iraizoz in goal, and on a couple of occasions, the woodwork. The visitors hung on to grind out a 0-0 draw at a packed Estádio da Luz, to the delight of one of the club’s largest-ever away followings. Suddenly Espanyol were not only in the last four but starting to believe they had a real chance of going all the way and winning the competition. Three of the semi-finalists were Spanish with holders Sevilla facing surprise package Osasuna on the other side of the draw. Espanyol were up against another Champions League dropout in the shape of Werder Bremen in their biggest European tie since that dreadful collapse against German opposition in the 1988 UEFA Cup final, when Javier Clemente was the young coach and Valverde was the emerging talent. Once again at home in the first leg, Espanyol had to contend without the suspended Francisco Chica, Luis García and Zabaleta, all of whom had been booked in Lisbon. Despite starting on the back foot and again being dependent on some excellent goalkeeping from Iraizoz, Espanyol took a strong grip on the tie as Moisés Hurtado and Pandiani headed in from corner routines either side of the break. Bremen remained a threat with Brazilian playmaker Diego asking plenty of questions but when visiting keeper Tim Wiese saw red not long after the second Espanyol goal, for upending Tamudo outside his box, the Catalans sensed the opportunity to really go in for the kill. Their pressing and probing finally paid off when substitute Coro coolly slotted home from Riera’s low cross in the 88th minute. It secured a convincing 3-0 first-leg win, the same margin they’d managed against Leverkusen in the final all those years earlier. This was a talented and free-scoring Werder Bremen side, though, one that finished top scorers in the Bundesliga for three seasons running between 2006 and 2008. A comeback looked unlikely but when they grabbed an early long-range goal through Hugo Almeida in the second leg, the Weserstadion was suddenly rocking at the prospect of a famous turnaround. In those opening moments, Espanyol fans must have feared that another collapse could be on the cards, but when the German team’s star striker Miroslav Klose was controversially shown a second yellow card for diving in just the 19th minute, the road to the final in Glasgow started to look considerably clearer. Even with 10 men, Werder pressed for a second goal, but early in the second half goalkeeper Andreas Reinke, drafted in for the suspended Wiese, spilled a cross and Coro pounced to effectively kill off any prospect of a comeback. That left Werder needing five and when defender María Lacruz headed in to give Espanyol the lead on the night just 10 minutes later, the party in the away end could really get started. Valverde had successfully repeated the feat he’d managed as a player by helping guide Espanyol to the UEFA Cup final, and despite a few nervy moments, they’d done it without losing a single match. The club were one victory away from the greatest achievement in their history and on a personal note, Valverde had demonstrated why the likes of Cruyff had long been tipping him to enjoy a successful coaching career. The UEFA Cup final came several weeks before the end of the La Liga season and Espanyol headed into it in good spirits following a 2-1 win over Atlético Madrid and a strong performance in an entertaining 4-3 defeat away to title-chasing Real Madrid. The match at the Bernabéu came just four days before the final and unsurprisingly Espanyol named a weakened team. That, combined with the somewhat friendly nature of their relationship with Los Blancos, suggested the match would be little more than a walkover for Real Madrid as they aimed to pip Barcelona to the Spanish title. However, never one to stick to the script, Pandiani had other ideas. The Uruguayan had already fired in 11 UEFA Cup goals that season to effectively ensure he’d finish as the competition’s top scorer even before the final, but he still struggled to get in Valverde’s strongest team with long-serving Tamudo the preferred choice. Pandiani’s selection in the team at the Bernabéu suggested he would miss out on a starting role at Hampden Park four days later. If Pandiani wanted to make a point, he wasted little time in doing that. With just 33 minutes on the clock, an under-strength Espanyol were 3-1 up and Pandiani had scored a hat-trick to the dismay of the home crowd. Valverde would withdraw the forward after an hour and Real would ultimately come back to win 4-3 thanks to a late Gonzalo Higuaín goal, but it left the Espanyol coach with a huge decision to make heading into the all-Spanish UEFA Cup final against Sevilla. In the end Valverde decided to stick to his guns and leave a fired-up Pandiani on the bench, in the knowledge that he would at least be a dangerous player to bring on as a substitute. Espanyol again started as undisputed underdogs against Juande Ramos’ Sevilla, who were hoping to defend the trophy they’d won in emphatic fashion against Middlesbrough 12 months earlier. Sevilla were enjoying an outstanding campaign and were only two points behind Real Madrid and Barcelona in the title race at the time of the final. 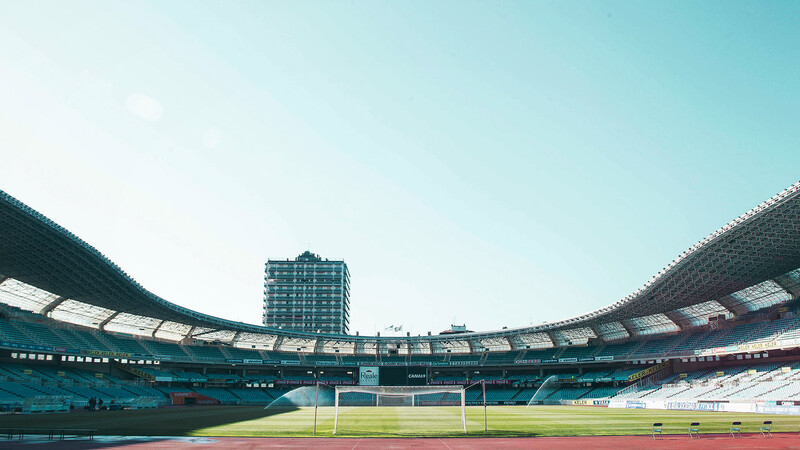 They’d beaten Espanyol 3-1 in a league game just a couple of weeks previously but having suffered a 5-0 defeat at the Estadi Olímpic Lluís Companys the previous season, they knew better than most just how dangerous a side the Catalans could be on any given day. With nine of the starters from the previous season’s final on the pitch and 50,000 crammed into Hampden, Sevilla started brightly but Espanyol quickly settled into what would develop into one of the best European finals in recent times. On 18 minutes, the holders took the lead, somewhat against the run of play, as Adriano skipped past the challenge of Espanyol full-back David García before firing emphatically past Iraizoz. It was the first time in the competition since the very first round against Artmedia Petržalka that Espanyol had found themselves with a deficit to close and they briefly looked shell-shocked. However, with just under half an hour on the clock, they found a sucker punch of their own as Riera cut inside from the left and struck a drive that clipped off Dani Alves and looped past the helpless Andrés Palop in the Sevilla goal. The game developed into an end-to-end contest but as the second half began, it was Espanyol who looked like they were beginning to turn the screw. Palop was forced to palm over Tamudo’s shot following good play from the inventive de la Peña. Soon after, he denied Riera a stunning second goal by tipping his thunderous volley onto the crossbar. Just when you sensed Valverde’s men were looking the fresher and more dangerous of the two sides, the pendulum swung back in Sevilla’s favour. With a little over 20 minutes to play, Espanyol’s Moisés Hurtado was shown a second yellow card for a clumsy challenge on the recently-introduced Aleksandr Kerzhakov. Pandiani had by this point been introduced, which left Valverde with little option but to take off captain Tamudo and replace him with a defensive player in the shape of Jesús Lacruz. Despite their numerical advantage, Sevilla struggled to break down another strong showing from Espanyol’s defence with centre-backs Torrejón and Jarque again impressing. With the Glasgow rain adding another dimension to a gripping final, the game headed into extra-time with Sevilla’s frustrations growing. However, in the final minute of the first period, they finally found a breakthrough. A low cross in from substitute Jesús Navas picked out Frédéric Kanouté, who was left with a simple finish having found some rare space in the Espanyol box. On an unpredictable night, there were a few more twists yet to come. All the spirit and resolve that had helped Espanyol get so far in the competition ensured their 10 men would not give up, and with five minutes to play, they grabbed their lifeline through an unlikely source. Brazilian midfielder Jônatas, a late substitute, collected a Pandiani lay-off and struck a stinging drive from just outside the box, which skimmed off the slippery Hampden turf and into the bottom corner to send the Espanyol fans gathered behind the goal into a state of delirium and the final into a penalty shoot-out. Having battled hard for almost an hour with 10 men, it seemed that this was destined to be Espanyol’s night and the golden moment in the club’s long and in truth often unremarkable history. In keeping with the course of the game, things swung back Sevilla’s way as they scored their opening penalty while Luis García was denied by Palop. Ivica Dragutinović made it 2-0 Sevilla with the next spot-kick before Pandiani stepped up to open Espanyol’s account in the shoot-out. Then came the next twist as Sevilla’s dynamic full-back Dani Alves blazed high into the Glasgow sky to present Espanyol with the opportunity to level the scores. However, in a cruel twist of fate, Jônatas, the hero just moments earlier, saw his spot-kick saved by Palop, and when Antonio Puerta sent Iraizoz the wrong way, the writing was on the wall for Espanyol. Their fate was sealed by a third Palop save to deny Torrejón and having come so close to glory, Espanyol’s UEFA Cup dream had gone the same way as their first European final appearance 19 years earlier and ended with three missed penalties and a shoot-out defeat. It was a heartbreaking finale to what had been a great European run and a final performance full of spirit and desire. Espanyol, so often the forgotten club even in their own city, were denied their day in the sun, and in an era of great Spanish success in Europe, their achievement was largely overshadowed, not least by Sevilla whose back-to-back triumphs rightly drew in the plaudits. Even in terms of being the great underdog story, it still ranked second to Alavés’ brilliant UEFA Cup run to an even more dramatic final defeat six years earlier. A decade has passed since and looking back now, it’s impossible to reflect on the 2007 UEFA Cup final without a tinge of sadness. The subsequent tragic deaths of Antonio Puerta and Dani Jarque, young defenders on opposing sides in Glasgow, would rock both their clubs and the wider Spanish football community to its very core. While Sevilla would go onto achieve much greater success, Espanyol have since retreated to their status of relative mid-table anonymity in Spain’s top flight, and they’ve not played a European fixture since that memorable final. Valverde, meanwhile, would once again leave the club after two years with his stock very much enhanced, although this time he’d have to wait much longer for his chance across town at the Camp Nou. Even as he begins to gear up for a trophy assault at Barcelona this term, he must still look back upon that 2006/07 campaign at Espanyol with a great degree of pride. Although he would go on to win five pieces of silverware with Olympiacos in Greece and a Spanish Super Cup in his second spell in Bilbao, his ability to guide an unfancied Espanyol side to a European final remains arguably his finest achievement as a coach. 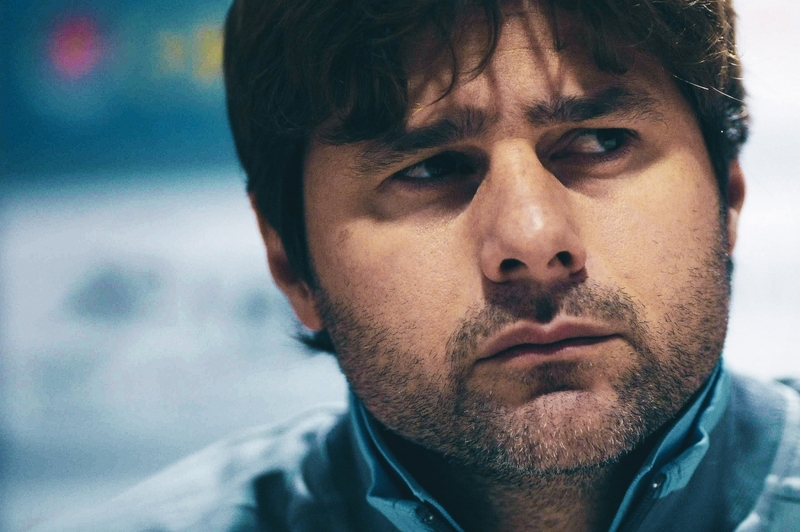 It ensured he would no longer merely be touted as a coach of great potential but a man who could overcome obstacles, develop young talent, and deliver results.